When President George W. Bush announced plans for a US military command for Africa - AFRICOM - in February, there was an uproar on the continent, and the controversy has yet to die down. Critics say AFRICOM is a poorly disguised attempt by the United States to gain access to African resources, to fight its war on terror on the continent and to interfere politically in African affairs by propping up governments that support US interests instead of their peoples'. But US officials insist that AFRICOM's primary mission will be the training of African peacekeepers and that it will also help reduce poverty and corruption. In the second of a series on the command, VOA's Darren Taylor focuses on the African reaction to AFRICOM. AFRICOM continues to be the subject of much skepticism across Africa, especially in regional economic powerhouses such as South Africa, Nigeria and Kenya. Critics see the US command as yet another attempt by the United States to enhance its global hegemony. Rather than being "for the good of the African people," they argue, AFRICOM is part of a sinister and selfish strategy designed to gain increased access to Africa's resources - most notably West African oil - to hunt down alleged terrorists who are thought to be hiding on the continent; and to buffer China's growing influence in Africa. Wafula Okumu, an analyst at South Africa's Institute for Security Studies, says Africans continue to view AFRICOM with "deep suspicion" because US officials are "always putting a humanitarian mask on" what is in fact a military command and emphasizing that it'll be used to "develop" the continent. "We're concerned, because why use the military? Why not use other effective methods, like USAID, or even the Peace Corps, who used to be very effective in winning the hearts and the minds of the African people. The African people right now are not very friendly to the idea of the (US) military taking a lead role in terms of promoting an ideal like human development," Okumu says. General Tsadkan Gebretensae, the former commander of Ethiopia's Defense Force, says Africans have "legitimate grounds" to be skeptics, and explains that the cynicism about AFRICOM exists even in countries with security policies that are aligned with Washington's. Liberia's president, Ellen Johnson Sirleaf, is the only African leader so far to publicly offer her country as a base for the new US Command. She has described AFRICOM as "recognition that long-term African security lies in empowering African partners to develop healthy security environments, to embracing good governance, building security capacity, and developing good civil-military relations." But South Africa, the leading player in the Southern African Development Community (SADC) bloc of nations, has said explicitly through its defense minister, Mosiua Lekota, that AFRICOM is not welcome on the continent. Lekota told the media after a recent gathering of southern African defense chiefs: "Africa has to avoid the presence of foreign forces on its soil, particularly if any influx of soldiers might affect relations between sister African countries." But Theresa Whelan, one of the US officials involved in setting up AFRICOM, says it won't represent a massive influx of American troops into Africa. "We estimate that no more than 20 per cent of the entire command will actually be physically present on the continent and will maintain a presence on the continent. Roughly 80 per cent of the command will be off the continent. So our presence will be small," says the US's deputy assistant secretary of defense for Africa. And, contrary to media reports, Whelan maintains that African leaders are prepared to support AFRICOM. "We have discussed (it) with the African nations, and they were very supportive actually?of the concept. In fact, many of them reacted by saying: 'Well, maybe if you guys actually lived here on the continent with us, you might start to understand what the challenges are that you face, and not sort of bring your western perspectives, but be able to understand a little bit better where we're coming from.'" Also, despite South Africa's insistence that the continent has rejected AFRICOM, some African leaders are clearly open to the idea of enhanced military cooperation with Washington. Botswana's president, Festus Mogae, has told VOA: "At the level of heads of state, we have said that we should continue to engage the American government on this thing, as to exactly what it is, and so on. We have said that we will maintain an open mind, until we know exactly the nature of the thing, but we will of course have to engage the region, too?. We have no ideological objections to cooperating with Americans." In a brief interview with VOA, African Union Deputy Chairperson Patrick Mazimhaka said: "As a concept we've talked about it with the US officials. Its strategies have been explained to us. We've discussed its form and its objectives. But all we've had is tentative discussions; we have yet to work out details. Now the next step is to take what has been presented to us about AFRICOM and to present it to our member states in a way that is clear to them and to see what they think. This is part of a process, and it's only the beginning of the process." Asked whether AFRICOM would soon be based in Africa, Mazimhaka replied: "It will happen. Yes. I don't foresee a problem." He pointed out that many African countries are "willing partners" with Washington in combating terrorism. But security analysts say there are still significant obstacles to increased US military involvement in Africa. "Africans have long memories," says Okumu. "When they hear the US spouting off about AFRICOM, they recall all the occasions that America destabilized their continent, through its support for despotic regimes, such as that of Mobutu Sese Seko's in the Congo, and it's lack of action to stop tragedies such as the genocide in Rwanda and the war in Liberia. There's still ill feeling for the US." Africans are also concerned, says Okumu, that Washington - through AFRICOM - intends "taking control of African security issues." Whelan insists that the US government's intent is very different. "The purpose of AFRICOM is to encourage and support African leadership and initiative - not to compete with it or discourage it. US security is enhanced when African nations themselves endeavor to successfully address and resolve emerging security issues before they become so serious that they require considerable international resources and intervention to resolve." She's adamant that African leaders will continue to decide what's best for the continent's security. "We have made it very clear that our intent with the Africa Command is not to come in and reinvent the wheel and provide some American solution to African security problems, but rather to take what the Africans have already built and assist them in making it a reality. So they will continue to dictate the course of African security priorities on their continent and our hope is that we can simply help them in achieving those goals," Whelan explains. But Okumu says many Africans feel insulted because the United States never consulted continental leaders during the "conceptualization" of AFRICOM. "It has been presented as a fait accompli around the continent," he says. Whelan denies that African leaders haven't been sufficiently consulted about the command. She points out that the US government has visited 13 African countries thus far to inform them about AFRICOM and intends to visit more before the command is expected to base itself in Africa by October 2008. But Kurt Shillinger, a researcher at the South African Institute of International Affairs, says Africans basically "don't trust" the United States. He's convinced that the continent identifies far more strongly with countries such as Iran and the struggles of the Palestinian people against the US-backed Israelis. Africans, he says, "resent the US control of the global security sector" and consider Washington to be a "bully" that's oppressing weaker nations. This is why he expects resistance to AFRICOM to continue to grow among African populations. Okumu says Africans, in hearing US officials couch AFRICOM in humanitarian terms, remember that colonialism was preceded by "philanthropic missionaries who came to fulfill 'God's will of rescuing Africa from the clutches of barbarism.'" 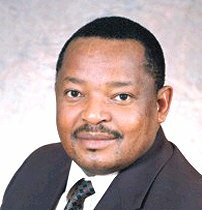 He continues: "Africa's colonial history was characterized by brutal military occupations, exploitation of its natural resources, and suppression of its people. After decades of independence, these countries are now jealously guarding their sovereignty, and are highly suspicious of foreigners, even those with good intentions." Africa also suffered a lot as a result of the Cold War between the United States and Soviet Union and their allies. "It wasn't Africans by themselves that brought all this horrible conflict to the sub-continent," says Paul Wolfowitz, former World Bank president and US deputy defense secretary. "The US and the Soviet Union played a fairly big role in supporting their various allies in the Cold War. The Congolese are still dealing with the consequences of what was?extraordinary support given to President Mobutu and the generals that he left behind are still a major problem for the DRC (Democratic Republic of Congo)?. And so the reluctance of Africans to see foreign militaries turn up (on their continent) is fairly understandable." Stewart Patrick, who manages a program on weak states for Washington's Center for Global Development, says one of the main fears with regard to AFRICOM is that it will encourage a "greater use of American forces" in Africa and will spur the US to "cozy up to repressive regimes that rely very heavily on their own military forces to remain in power." Some analysts say this is, in fact, already happening. They point to Washington's support for an Ethiopian administration that has been jailing and allegedly torturing opposition politicians, human rights activists and journalists. Whelan responds: "The fact that we have diplomatic or bilateral relations with a country doesn't give us control over their actions?. We're never going to control countries, but that doesn't mean that you don't try to work with their militaries and help them to develop the competence to be able to manage security in their own backyard." She's also repeatedly stressed that AFRICOM will not be a "war-fighting command," but rather a strategy to prevent conflict in Africa. Critics, though, say recent US actions on the continent contradict her stance. They cite US air strikes in Somalia against supposed al-Qaeda targets. In the future, they say, Washington will use AFRICOM to eliminate anyone in Africa considered to be an enemy of the United States. Whelan acknowledges that in the event of Americans being threatened in Africa, the authorities will not hesitate to act to protect them. "If the United States were confronted with a specific situation like that again where we had the ability to go after someone that had attacked us, and either capture them or in some way eliminate them, we're certainly going to do that." But she says the US will consult African leaders before launching any military actions. General Gebretensae says the war on terror is a national security priority for Washington but certainly doesn't enjoy the same importance in Africa. Okumu says AFRICOM shouldn't force the continent into a sphere where it doesn't belong. Gebretensae comments: "Every (US) policy is very much tied to the war against terror, and all other issues that are pertinent to Africa are being undermined. The possibility of undermining the whole relationship (between the United States and Africa) I think is very high. There is fear that the US military will mainly focus on its own interests. " Another concern, says Patrick, is that AFRICOM will create targets for militants and lead to a wave of terrorism in Africa. "By actually placing it on the continent and by conceivably creating a number of regional and sub-regional hubs, the impact will actually be to create a number of targets for those who are discontented with US policy - and these will be actual practical targets for attack by terrorist organizations. And also symbolic targets that can be invoked to justify anti-American policies or attitudes," Patrick says. Okumu agrees, pointing to the 1998 al-Qaeda bombings of the American embassies in Nairobi and Dar es Salaam. "The perpetrators of the terrorist bombs - when they were arrested, they were put on trial. One of them said the reason they targeted Kenya was because Kenya is a friend to the West. And that's why they hate it, because it represents Western interests." If Africa embraces AFRICOM, warns Okumu, it should steel itself for some "dark days" ahead and a "more dangerous" environment, and the possible revitalization of a "new Cold War" should China also insist on becoming involved militarily on the continent.